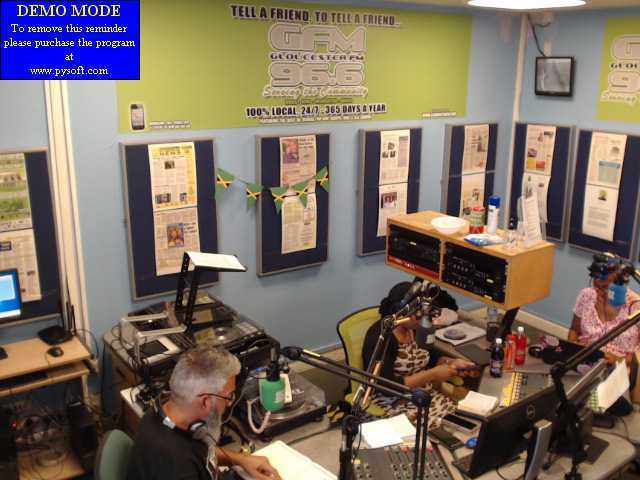 It is difficult enough at present sourcing enough funds for the everyday costs of running your GFM Community Radio Station Now it is also becoming apparent that essential items of equipment, after years of constant use, are wearing out. Other equipment, for example the computer we use to answer the phone is overstretched with other duties, due to this the system fails every so often. Listeners have probably recently heard a CD ‘skip’ or called the studio only to find the presenter cannot connect to the call or hear you when they do! A few texts & mails have failed to ‘land’ in the studio & occasionally we have been unable to access the internet to give the listeners their information & advice. In order for GFM to maintain the high standards of service the Community has come to expect AND we strongly wish to provide: it is now imperative that certain items of equipment are replaced & new items obtained. Various quotes have been sourced and the most cost-effective options are listed later. We have now been reliably informed that it no longer cost-effective to keep sending off for repair the two CD players, which have already been repaired several times. Also as they are old & worn they are likely to fail again quickly after repair. Answering telephone calls on the studio computer used for the phone system is achieved more quickly & efficiently using a touch-screen. Our old one is broken & at present we are using an old monitor screen which is not touch-accesible with the result we can miss calls. Also we have been told by our support team the telephone computer should be dedicated ONLY to the telephone software but it is not, we also have to use it for internet access to read incoming texts, e-mails & sourcing information. This results in the phone software & even the whole computer ‘crashing’ occasionally. We have been advised that we need a small laptop to take over accessing the internet, thus relieving the phone computer of any other duties other than the phone software. Therefore GFM is appealing to it’s listeners for your support in raising the money to purchase these essential items as soon as possible. Please can YOU help us to maintain our standards of service to the Community. You can donate through our website securely by Pay-Pal but if you would rather do this in person, or by cash, then please phone 01452 525425 to pre-arrange a time to meet a board-member in person at the trust centre. Please do not send money through the post, it is NOT a secure means of transfer. This entry was posted on Saturday, February 8th, 2014 at 3:33 pm	and is filed under Community News, Information & Advice. You can follow any responses to this entry through the RSS 2.0 feed. Responses are currently closed, but you can trackback from your own site.